On 22nd July 2016, at the kind invitation of Capt. 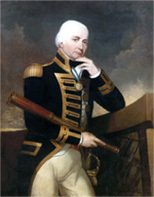 Andy Jordan RN, Commanding Officer of the Royal Navy’s Maritime Warfare School and HMS COLLINGWOOD, Capt. Stephen Healy, Chairman of the Collingwood Society, attended Ceremonial Divisons at the base in Fareham. 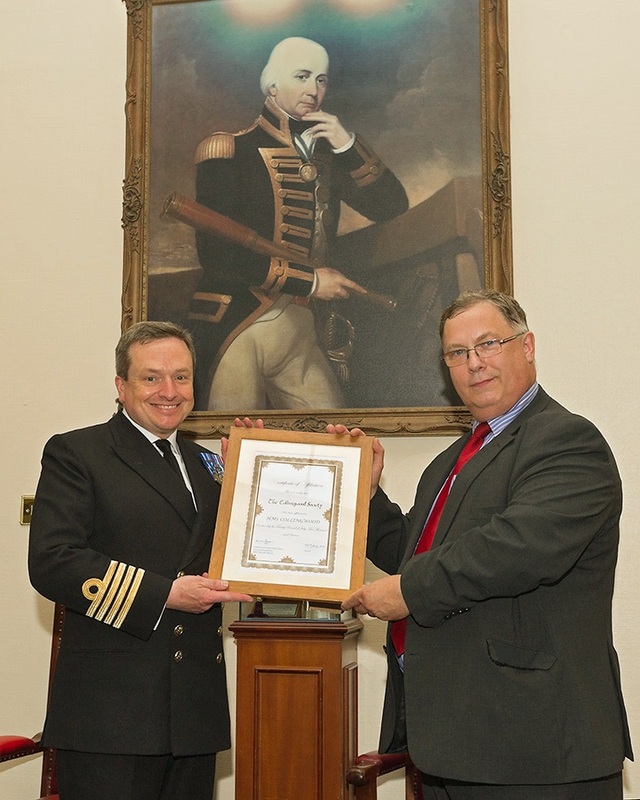 Whilst there, the official affiliation with the Society was marked by the presentation of a certificate, appropriately carried out in front of their portrait of the Admiral. We look forward to a long and productive association with HMS COLLINGWOOD and its staff. CAPT JORDAN PRESENTS THE COLLINGWOOD ASSOCIATION WITH A CERTIFICATE OF AFFILIATION. 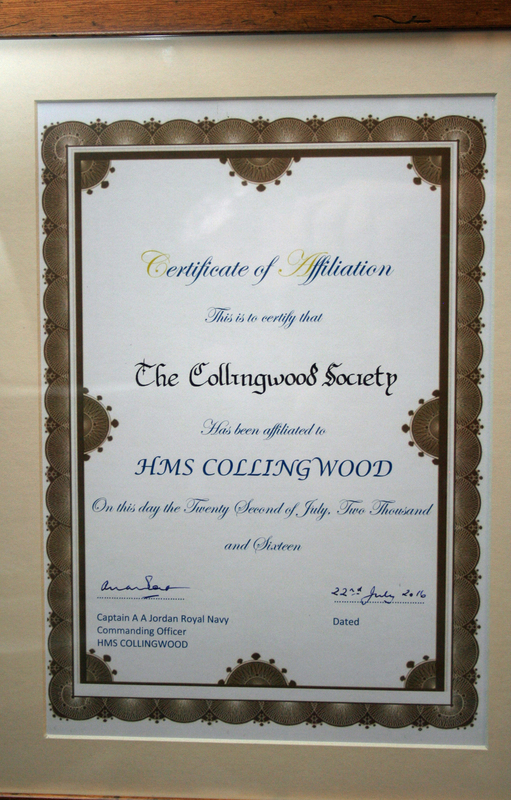 The certificate is already prominently mounted on the wall in the official home of the Society, the Newcastle upon Tyne Trinity House. Take a look next time you are there!